It may sound surprising but yes, Miss Nepal pageant took place earlier this year and the crown for Miss Nepal World 2012 has gone to Shristi Shrestha! The title of the 1st Runner Up went to Nagma Shrestha while Subekshya Khadka was announced the 2nd runner up. At an event held at Hotel Annapurna, Durbar Marg on May 6, 16 beautiful contestants competed for the most prestigious title with grace and confidence. But with her impressive answer to the question “What will/can you do to make others remember you for a long time?” helped Shrestha beat all the other contenders, eventually taking the honour home. 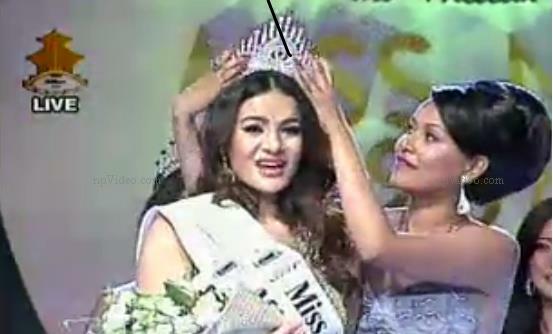 Shrestha, who is a model by profession, also bagged the title of Miss Confidence. The show was hosted former Miss Nepal runner up Sahana Bajracharya and Hits FM RJ Biraz Singh Khadka.